A loveseat makes the perfect accent in any living room. It's going to be the place where you'll relax and enjoy everything from a great book to a movie to conversations with family and friends. A loveseat will give your room a splash of style and a relaxing aesthetic. Whether you need leather or fabric, you'll find all the seating for any space. Throw a blanket and pillows on it, you'll have the perfect family room setup. Loveseats come in a wide range of styles, shapes and colors. 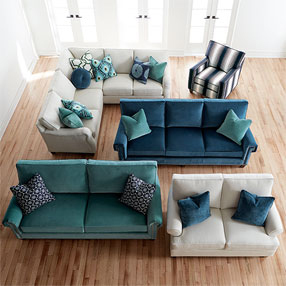 Loveseats are a great addition to standard-size sofas, guaranteeing everyone has a comfortable spot to sit. This seating option comes in traditional looks to more contemporary designs so you can create the ambience you want. Furniture lets you create a space where your personality shine through. 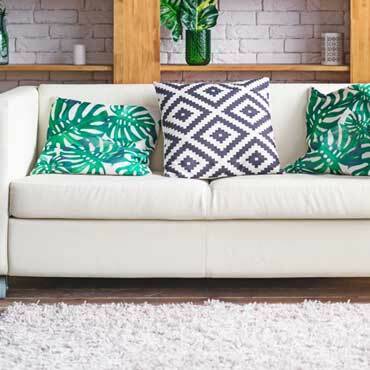 Use the links below to find the perfect loveseat for your home. With a couple of throw pillows on each side, you'll have the relaxing spot to sit back and relax after work or on a lazy afternoon.